For several years, Jean-Pierre Séguin works on systems of representation in portraiture and on ways producing portraits. Relationships between photographic portraits and pictorial portraits are an integral part of his work. 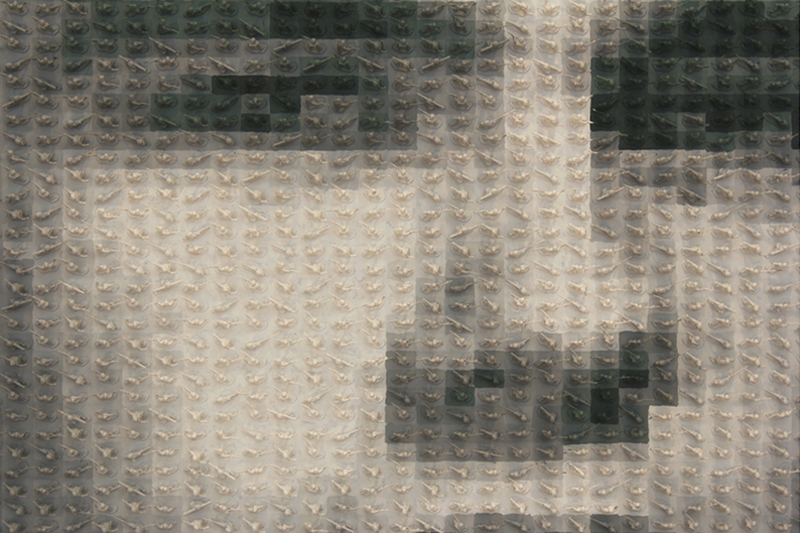 Thus, he have used several two-dimensional strategies to disturb viewers’ perceptions, strategies that prompt them to move about and try broaching the portrait from different distances. Through his or her motion, the spectator becomes a kind of zoom lens, varying focal length to produce effects of nearness and distance. Approaching the image to get a better look, viewers lose their grip on the identifiable reality of the photograph; reference points that normally serve to guide viewers of photography evade them here. The spectator must then fall back on a purely formal, even abstract reading. By eliminating superfluous and decorative elements of representation, Séguin strive to display the procedures that go into making a portrait. 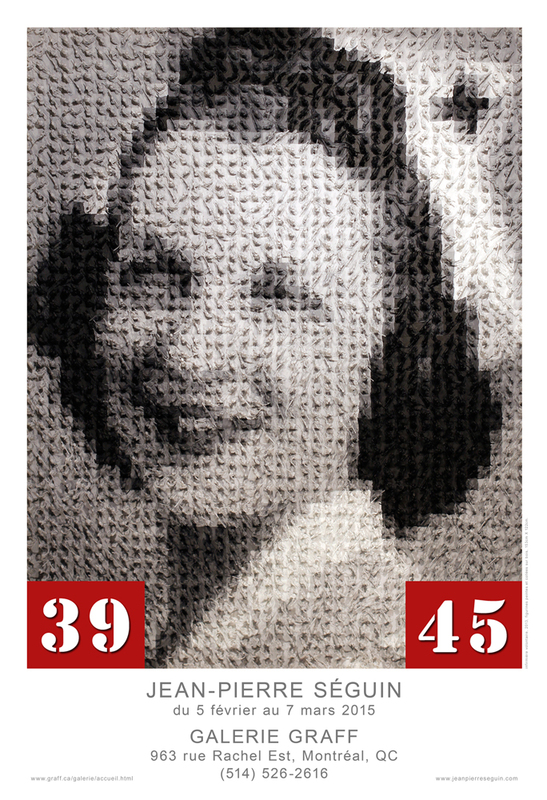 He photograph contemporary artists to pay them homage, but also because it allows him to play on the identification of the represented individual, depending on reading distance. The photographs are taken as objectively as possible, that is, he does not try to exploit the characters’ expression or their prestige. Rather, he try to capture the anthropometric features, which, in a sense, constitute the core of individual identification. In the last six years, he met and photographed several Canadian, American, and European artists — Guido Molinari, Michel Goulet, Chuck Close, Michael Snow, Miquel Barcelo, Raymonde April, Melvin Charney, among others — who’ve allowed him to work from their portraits. From these snapshots, he produced digital portraits so that he could modify them and generate multiple perceptions of the image. Motifs created on the computer replace the strokes of paint that usually serve to create a representation. This way of producing, while allowing for the addition of formal elements to the image, also fosters a much closer and more abstract reading of the photographic representation. 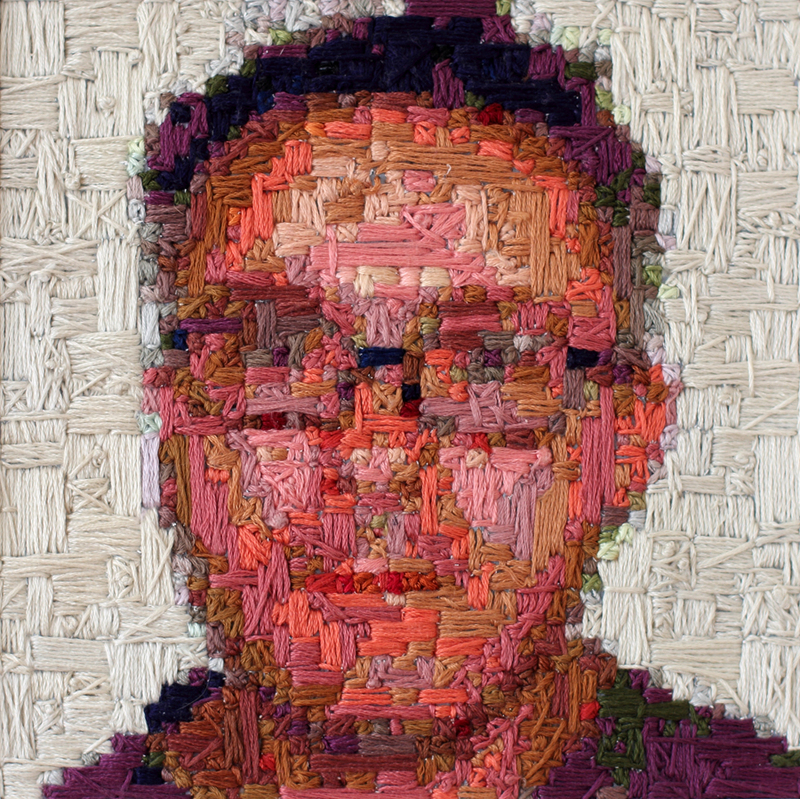 True to the principle, he built a portrait using thousands of different puzzle pieces in order, again, to obtain multiple perceptions of the image. In this particular case, it is the build-up through superimpositions and juxtapositions that replaces the forms and colours normally used in generating a representation. He search through piles of puzzle pieces to find those that best suit the part of the portrait that he wants to represent. This makes it possible to add relief to the image, to discover other ways of perceiving and making a portrait. 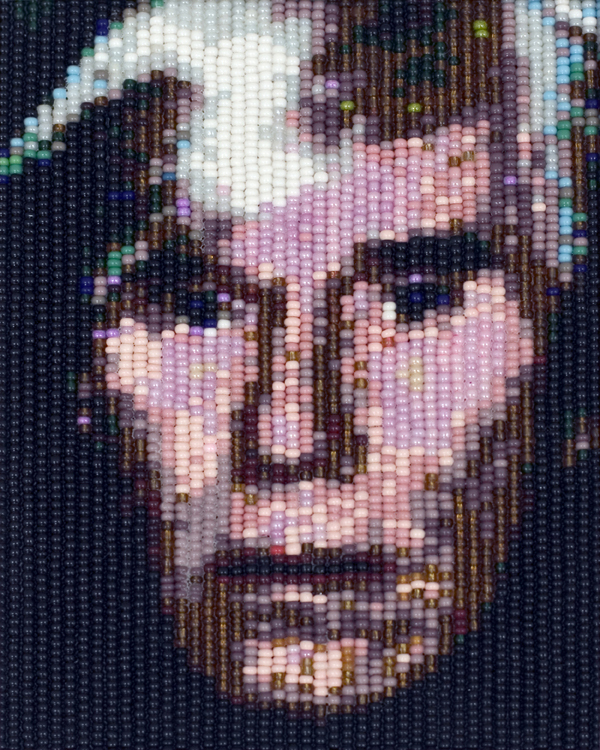 With the generous support of Canadian Buttons, Limited, Séguin also created a portrait using some three thousand custom-made buttons, work that arose from the observations of print screens. Finally, he have several projects under way that lead him to use different procedure and compose with different materials in view of discovering other ways of obtaining both a figurative and an abstract perception of the portrait on the same surface. Jean-Pierre Séguin is looking for something very concrete in the context of abstract work. Born in Montreal, Jean-Pierre Séguin is a visual artist who lives and works in Montreal, Quebec, Canada. For a number of years, his pictorial and photographic research has been oriented toward representation systems, portrait making and our perceptions of space, time, color, shape and object. His work has been in exhibitions in Canada and abroad, the most recent of which are 39-45, Galerie Graff, Montreal (2015); WW2, OK Harris, New York (2014); Artists Portraits, Galerie Graff, Montreal (2012); Beards in Beads, OK Harris, New York (2009); Beaded Portraits, OK Harris, New York (2007); Figures, Musée d’art contemporain des Laurentides, St-Jérôme (2006-07); 1040 tableaux, Langage Plus, Alma (2006); Métaphoretraits, CNE, Jonquière (2005); and Corps et Figures, Montréal Télégraphe, Montréal (2001). His works are included in numerous private and public collections. He was represented by OK Harris Gallery in New York, closed in 2014. He is represented by Graff Gallery in Montreal. Damien Hirst, 2011, thread on canvas, 16 x 16 cm. Making of "PEACE and LOVE"